Dandruff can be a real pain, guys. Dandruff. Unwanted, yet some of us face this at some point in our lives – just like acne. Fret not, it comes and eventually it will go. With the right products, good hygiene, diet and stress control, it can be cured. Once one discovers they have dandruff, the first thing to do would be to get a suitable bottle of shampoo to combat this nuisance. We have scoured through anti-dandruff shampoos you can get here in Malaysia this year and here are our best picks. Being an ayurvedic-focused product, Himalaya has kept it natural with Indian herbal remedies and is free from paraben and SLS, making this a good choice for those with a sensitive scalp. This anti-dandruff shampoo helps to reduce build-ups on the scalp, which causes sebum to clog the natural hair shaft. This L’oreal product has been voted as one of the top 10 shampoos for dandruff control while keeping your hair on your head. 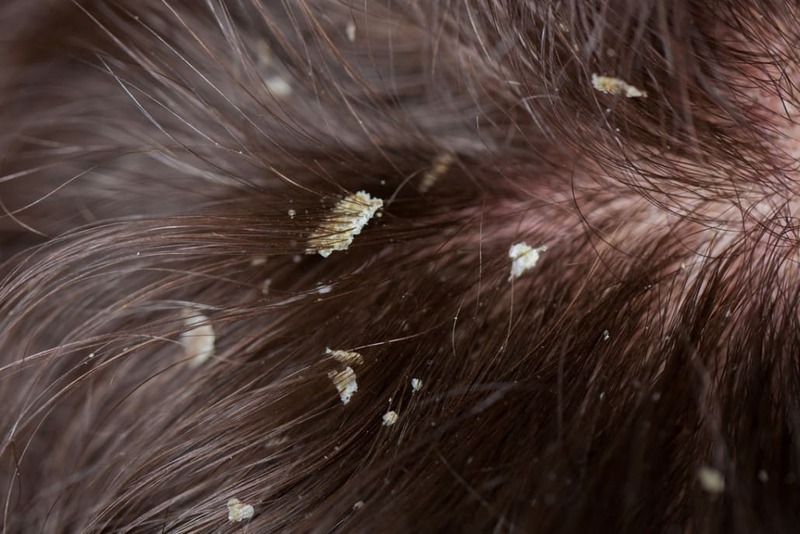 If you’ve been facing hair loss alongside your dandruff issues, give it a try! It’s also not too pricey either. No one wants twigs on their head. If you are exposed to the sun a lot, your hair can get dirty and oily pretty quick. We all know that our skin needs protection from the harmful rays of the sun, but so does our hair, which can dry out if not given proper nourishment. The olive extract essence in this shampoo helps fight dandruff while keeping your hair smooth, glossy and moisturized. Repair and improve your hair condition within weeks of using this shampoo by giving your damaged and dry tresses the nourishment it needs. The Matrix Biolage Scalptherapie Anti Dandruff Shampoo is mentioned as one of the best anti-dandruff shampoos for coloured hair. It gets rid of dandruff without stripping away your colour-treated hair – something you’ve spent lots of money on! Kola nut and mint complex leaves the scalp feeling refreshed while adding body and volume to your manes too. Redken’s unique dry/wet formula with Pyrithione Zinc helps eliminate and reduce dandruff. When applied directly onto dry hair, the shampoo begins to fight off the dandruff. Once water is applied, the scalp is then cleansed and clarified to wash away the dandruff. Hence, leaving the scalp calm and soothed. A great pick for those suffering from dry scalp as it eliminates and controls scalp irritation. This shampoo can be used on damp hair as well. Apply it like normal and take some time to massage your scalp in order to stimulate blood circulation. It’s also gentle enough to be used daily. This daily purifying shampoo is 100% natural and made of ingredients such as jujube bark and cherry flower to permanently eliminate dandruff and soothe scalp respectively. Jujube bark also helps to regulate excess sebum, hence calming itchiness and forever getting rid of that nasty dandruff. The light and translucent formula give you a tingling sensation of freshness after use which leaves your mane light, comfortable and shiny! This homegrown brand uses our own home remedy when it comes to hair care, santan. For generations, we know the benefits of coconut oil to keep healthy hair and scalp. The fatty acids from coconut oil leave the black hair healthy and nourished and leave them glossy, silky and shiny. Head and Shoulders offers a variety of hair solutions for all concerns, and this one targets the greasy hair. Lemon is a natural degreaser and with the 3-step solution; of cleanse, tone and protect it acts to remove and prevent dandruff from coming back leaving the hair smelling citrusy fresh.